Sophie White, associate professor in the Department of American Studies and concurrent associate professor in the Department of Africana Studies, has received a fellowship from the National Endowment for the Humanities (NEH)—her second NEH award in five years—for her book project, Voices of the African Diaspora Within and Beyond the Atlantic World. 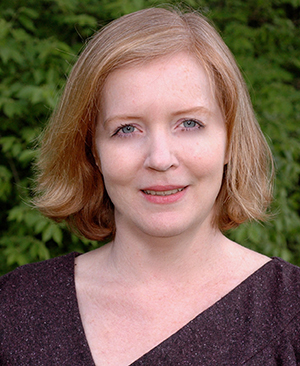 As one of two winners from Notre Dame’s College of Arts and Letters for 2015, White continues the University’s record success in earning NEH fellowships. Arts and Letters faculty members have been awarded a total of 53 NEH fellowships since 1999—more than any other university in the country. “I was thrilled to receive the grant,” White said. “It is a validation of the work I’m doing and also motivation to complete the project. White, who is also a concurrent associate professor in the Department of History, and the Program in Gender Studies, is analyzing courtroom testimony from enslaved Africans in French colonies, primarily in 18th-century Louisiana. Individual slaves did not often have an avenue to tell their life stories, White said, as French colonies had no tradition of documenting their biographical accounts. But when called to testify in court—either as defendants, witnesses, or victims—the enslaved had a rare public forum. The trial records from Louisiana prior to France’s 1769 cession of the colony provide a rich repository, White said. The transcripts contain testimony from nearly 150 distinct voices of Africans and African descendants. One example she found particularly compelling involved a group of enslaved women doing laundry by the Mississippi River in New Orleans in 1752. A drunken French soldier attacked them and was later charged with the crime. “I’m intrigued by that, because it tells me quite a lot about how she’s presenting herself,” White said. “She’s positioning herself as someone who could speak back to a Frenchman. She could get in big trouble for that, but she’s saying she did it because she is claiming the moral and religious authority over him. Notre Dame has proven an ideal place for her research, White said, as it has heightened her awareness of religious elements infusing slaves’ accounts in French (and Catholic) colonies. White specializes in early American history with an interdisciplinary focus on cultural encounters between Europeans, Africans, and Native Americans, as well as a commitment to Atlantic and global research perspectives. 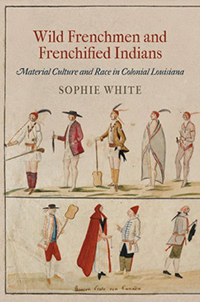 Her first book, Wild Frenchmen and Frenchified Indians: Material Culture and Race in Colonial Louisiana, examines perceptions of natives in French colonial Louisiana and demonstrates that material culture—especially dress—was central to the elaboration of discourses about race. Looking ahead, White hopes to undertake a comparative project exploring autobiographical narratives in judicial testimony from French colonies around the world. She has begun conducting archival research in her native country of Mauritius—an island nation near Madagascar—which has also helped her contextualize her current project within a global French empire. While in Mauritius recently, she attended a UNESCO-sponsored conference commemorating the abolition of slavery. There, she heard powerful stories from descendants of slaves, who in turn were fascinated by the accounts from her research that she shared. For White, these emotional exchanges brought new meaning to her work. White, who last fall taught a course on captives and slaves in the New World, said it’s also important for her students to hear these stories about life without freedom. “There is a lot of violence and negativity in the trials, but what these witnesses want to talk about is often something very different,” she said. “There is joy in there, as well. There are tales of going to see loved ones, tales of relationships and community that come through. Originally published by Carrie Gates at al.nd.edu on April 29, 2015.